Some of you guys follow me on Instagram… However, some old review-posts might soon be lost in this whole spate of new ones. I really don’t want to duplicate them or repeat myself especially when reviewing places I often visit. So that’s how I came up with an idea of creating a series of articles concerning best pizzerias in various cities. Today, I’ll start with Wrocław! I won’t be choosing the one and the best. There won’t be any “top ten”. Each pizzeria I mention is worth visiting and recommended by me. I’m taking into consideration both Neapolitan pizzeria and classic ones. Have you ever experienced a situation when during one visit to a restaurant pizza was heavenly delicious and the other time it was just… good? Yup, it all happens because of manifold internal and external factors. We’ll perceive the taste of pizza differently every time we try it – it depends on how hungry are we, if we have a hangover or simply caught a cold. Making a good pizza is more complicated than you thought! I guarantee – thanks to this guide you’ll find out where to eat your dream pizza that will satisfy your preferences. 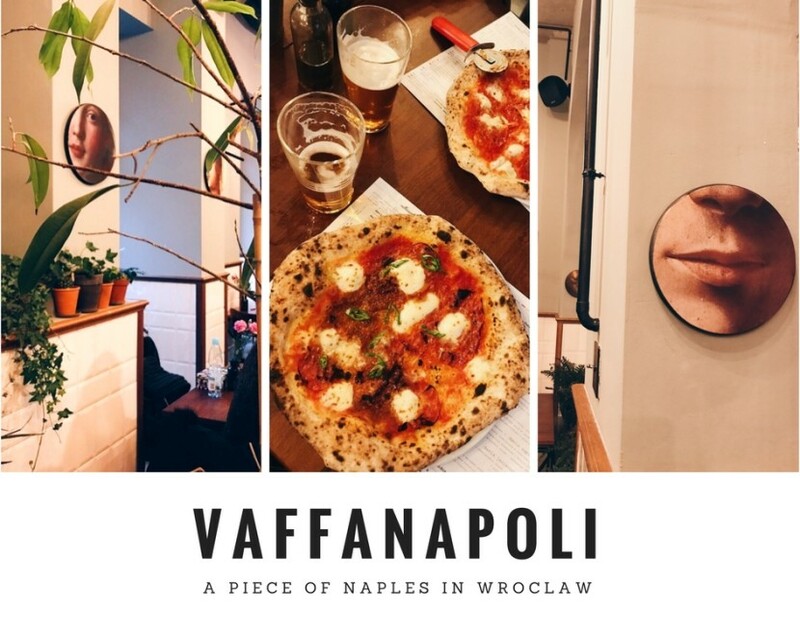 I remember moving to Wrocław and hearing of some new restaurant – Vaffanapoli. You might only guess how excited and curious I was. I decided to visit it as soon as possible. It turned out that I wasn’t the only person who had this idea. Well, to be honest it all looked as if all citizens decided on visiting this place too. 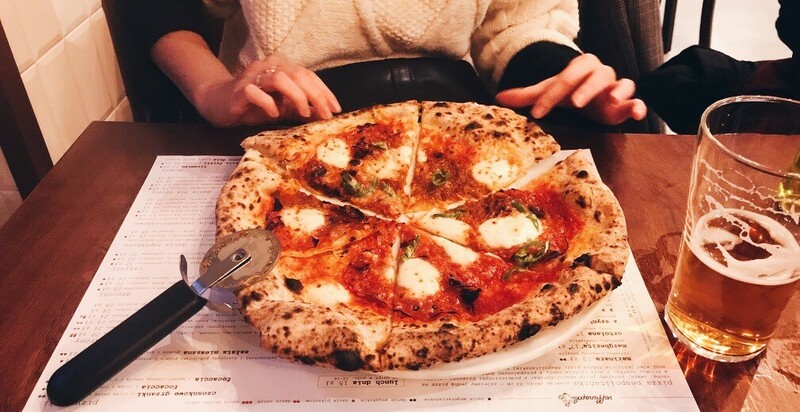 As a matter of fact, the popularity of this freshly opened restaurant came from the popularity of its owners – they have already opened some legendary and successful Neapolitan pizza spot on the culinary map of Wrocław – Piec on the Szewska Street. It was a beautiful summer day and I decided to blow it off and come back another time. In fact, it turned out that I’ll be visiting it quite often – I was living nearby. #1 TIP: Avoid this place at weekends, especially during lunch time. And especially if you’re starving. They are so crowded that you’ll only get nervous. It is a very popular culinary spot – in order to get there without queueing, you have to act strategically. The best idea is to go there around 5 p.m., avoiding the lunch time and making it before supper. During weekdays it should be easy. I fell in love with the interesting design of Vaffanapoli. Being there is simply delightful – you may enjoy the variety of artistic paintings and colorful plants all around. What is more, service is really nice, outgoing and efficient. The restaurant has two separate floors. 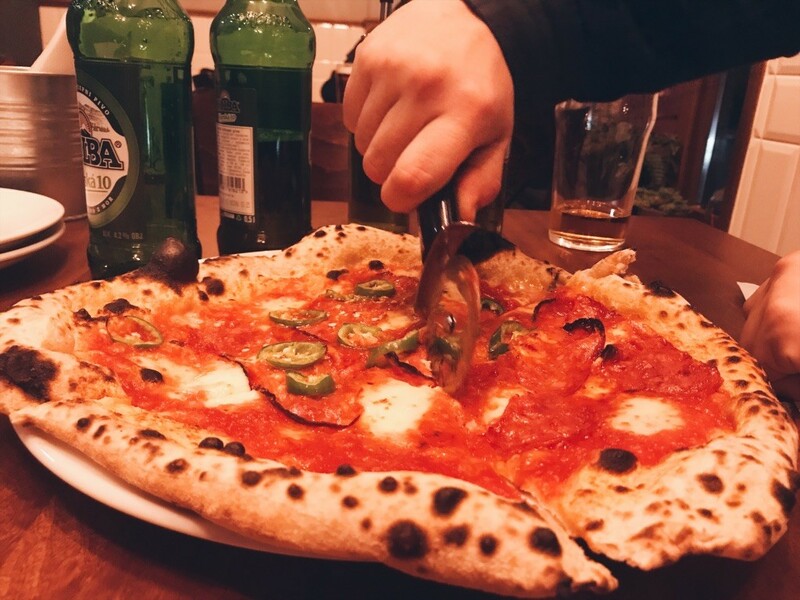 People that can’t wait to taste Vaffanapoli’s pizza may take a seat at the bar and wait for a table or simply eat their meal in there. What’s surprising is that they’re serving alcohol! Piec on Szewska Street menu does not include this offer – and that’s a huge plus for Vaffanapoli. A cold beer or delicious wine is what should always follow a great pizza. 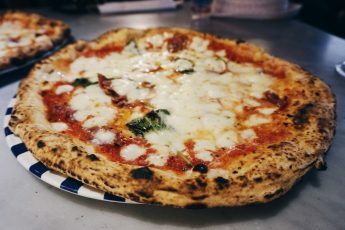 Vaffanapoli’s menu informs us that this place offers „Neapolitan pizza: with raised sides, tender and fine middle, with a lot of delicious sauce and frazzled bubbles”. Also you’ll find out that it is not typical for polish standards. 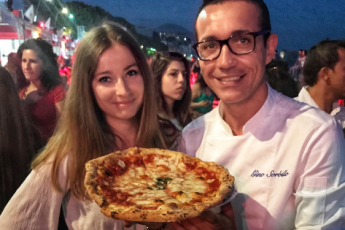 Remember – no true Neapolitan pizzeria will offer you crispy, paper-thin pizza. I believe I don’t have to mention that you won’t be getting any garlic sauce… And I’m begging you – please, don’t even try to order it. I guess it’s still common in pizzerias and also in Vaffanapoli. As a result, we may find a short note inside saying that the bottom of the line garlic sauce costs here 100 zł. Prices in Vaffanapoli are similar to those in other pizzerias – 17 zł for Margheritta, 25 zł for Calabrian (which is my top 1!). I intend to try others but for now I can’t betray my love for Margherita or Salami. 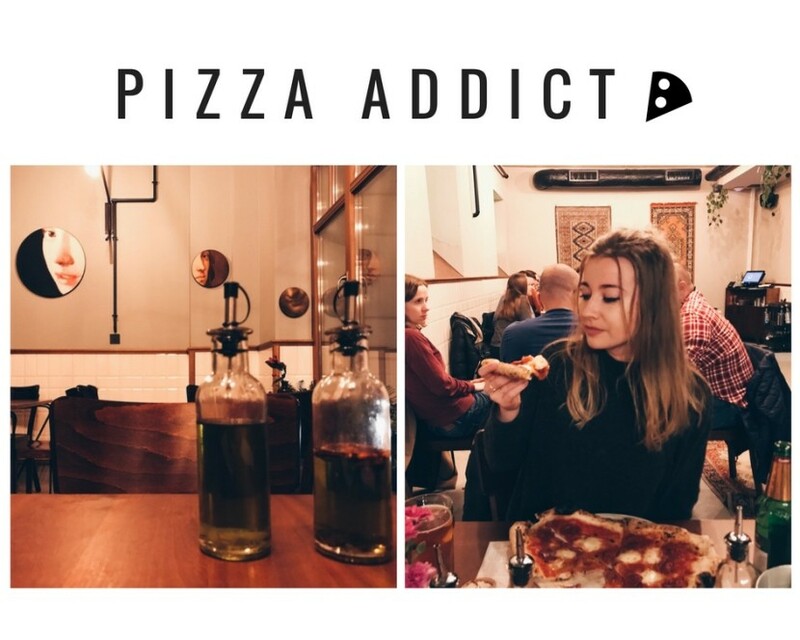 If you don’t feel like eating pizza (is it even possible?!) you may try delicious pastas, gnocchi, ravioli or some other traditional meals and desserts. 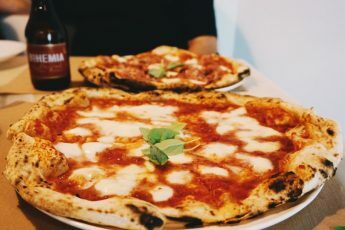 If you love Neapolitan pizza as much as I do, you have to visit Vaffanapoli! So what is your opinion of this place? Do you agree or maybe you experienced something completely different? Feel free to air your views by comments! If you enjoyed this article, share it! The never-ending love for pizza should be spread all around the wordl! 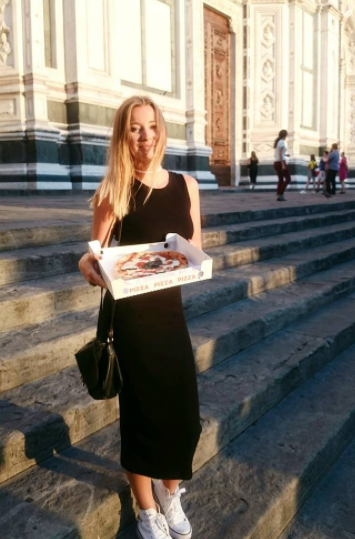 In PIZZA category you will find out where to eat best pizza in Poland and Europe.